The human brain and nervous system aren’t designed to handle the insane demands of modern society. We’re anxious, we worry too much, and we can’t properly concentrate or focus. This is destroying our work, our relationships, our health, our confidence, and our overall happiness. Enough is enough. Zen+ is a unique and synergistic blend of the most potent standardized herbal extracts. It is designed to work as an anxiolytic (promotes relaxation) with both sedative and anti-depressant properties. It is also uniquely designed to be relatively non drowsy, so people can enjoy the calming and mood enhancing benefits during the day, unlike the vast majority of other relaxation and mood enhancing supplements on the market. Zen+ is a scientifically chosen and potent blend of natural herbs which work synergistically to increase the body’s natural production of GABA, seratonin, and dopamine. Below you’ll see how each herb works individually, but the brilliance of Zen+, however, stems from how these 5 herbs act synergistically and in harmony with each other. Some of the herbs act like a natural relaxation. These help to eliminate stress, and needless worry. Some of the herbs improve our mood and increase our confidence by increasing the levels of the neurotrans- mitters GABA, seratonin, and dopamine in the brain. Some of the herbs directly increase our ability to focus and concentrate by… The end result is amazing. Simply lowering our stress levels and reducing our needless worry will help improve our focus and concentration by calming the mind and freeing it to think about what is important. It is an excellent adaptogen that helps the body maintain and return to “Homeostasis”, a balanced state for the body as a whole, which is shown to be effective in promoting relaxation and reducing stress by real clinical human studies. 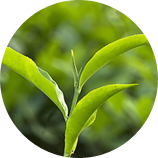 L-Theanine is a powerful and unique amino acid found in green tea. It’s what makes tea feel more “calming” than coffee. It works by increasing the effectiveness of GABA, our body’s main inhibitory neurotransmitter. It easily crosses the blood-brain barrier and is effective almost immediately after ingestion. 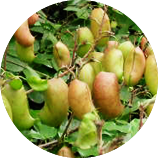 5-HTP or (5-Hydroxy-Tryptophan) sounds like a synthetic chemical, but it’s actually a natural extract from “Grifforia” seeds. 5-HTP works as a natural anti-depressant by raising the body’s level of serotonin, the body’s “happy hormone”. The increased level of serotonin will help you feel happier and more optimistic. 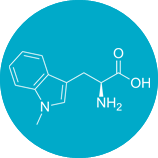 Taking 5 HTP in the right dosage also gives a pleasant “sleepy” feeling. When people ask “What is that thing in turkey that makes people so sleepy?”, the answer they are looking for is L Tryptophan. L Tryptophan is an amino acid found in turkey. It works quickly, is complimentary to 5 HTP and melatonin, and is terrific for helping your body stay asleep all night long without waking up groggy. We us an organic rhodiola rosea from Tibet with a very potent 3.5% Rosavin and 2.5% Salidroside. Rhodiola is used to help with many conditions and has been known to help with memory, focus, and energy. It’s virtually impossible to sleep soundly, or at all, if you have a racing mind and/or tight muscles. 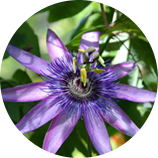 Passion flower is well studied as a natural muscle relaxant, a sleep aid, and an herb that promotes relaxation. 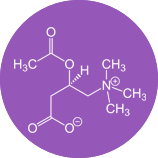 Like L-Theanine, it works on increasing the effectiveness of GABA, but in a slightly different and complimentary way. Both passion flower and L-Theanine work well synergistically to help you reach pleasant and stress free states of mind. One of Vitamin B3’s unique properties is its ability to help you naturally relax and get to sleep more rapidly at night. In Sleepx we also use the “niacinimide” variety which is shown to be up to 10x more effective for absorption into the body compared to other Vitamin B3’s on the market. Vitamin B12 is required for the proper function and development of the brain, nerves, blood cells, and many other parts of the body. Vitamin B12 is also used for memory loss; Alzheimer’s disease; boosting mood, energy, concentration and the immune system; and slowing aging. Adults: 1 Capsule(s) 2 time(s) per day or as recommended by your health care practitioner. We respect true experts in every main area of medicine and human health. We believe no single industry or country has a total monopoly on all knowledge on health. That’s why we consult directly with experienced leaders in modern medicine, naturopathic doctors, traditional Chinese medicine specialists, as well as academic researchers from globally respected institutions. 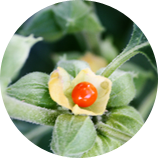 We combine all the knowledge and scientific studies in-house to come up with amazing herbal blends and formulations which really work. Different herbs grow best in different climates. We travel all over the world to find the highest quality and purest individual ingredients. Our procurement process for ingredient suppliers is superb, and we control our supply chain from farms to final product. 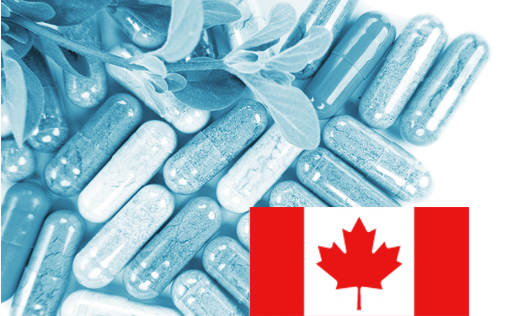 With that said, we’ve discovered Canada to be the world leader in the manufacturing of natural health products.